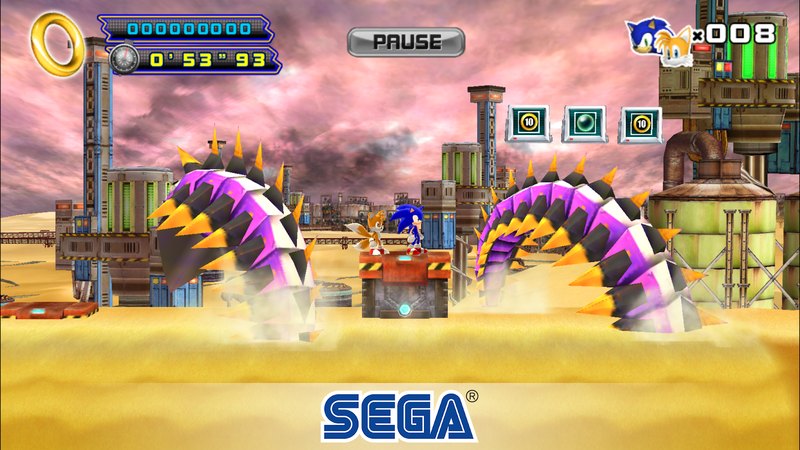 Ah, good 'ol Sega, re-releasing what used to be paid titles as new ad-filled releases that contain the exact same game. The SEGA Forever program is rife with similar re-releases, so it's no surprise to see that Sonic The Hedgehog 4 Episode II is the next to join the bunch. If you own the old version that is now delisted, you will still have access to the download, but updates are now out of the question, which means it's only a matter of time before an Android OS update breaks your old copy. Luckily Sega provides a way to remove the ads in this new listing, but I doubt those of you who just had a death sentence handed down to your old purchase are going to freely give Sega more money. Okay, so the first thing I noticed when booting this up is that even the main menu has lag. The characters on the start screen move around at like 10fps. So yeah, we are already off to a good start. I also couldn't help but notice that 18:9 support is missing, so you will have to play in 16:9. 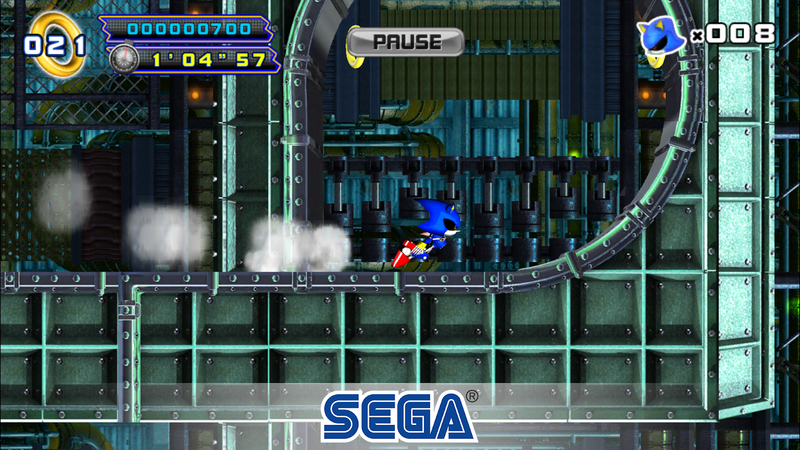 For a re-release, you'd think Sega could have at least updated the game to support modern hardware a little better, but why do that when you can sell the same old game all over again. 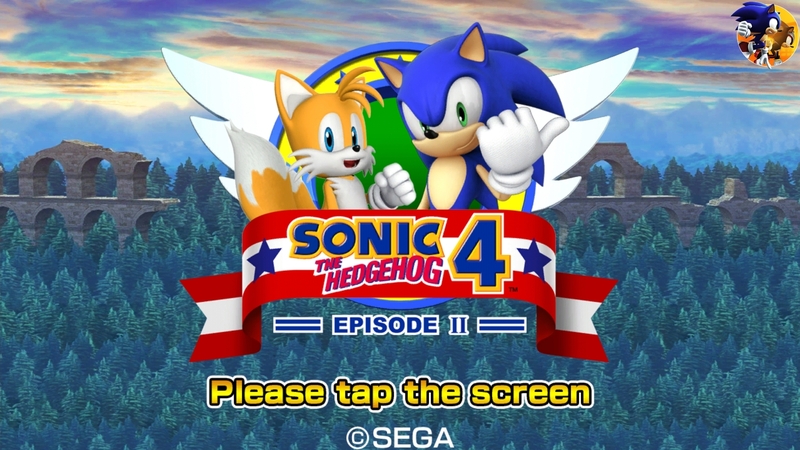 Like all SEGA Forever titles, Sonic The Hedgehog 4 Episode II is now free-to-play. I suppose this means more people can check it out, but it does shaft those that paid previously for the now delisted version. You can expect to find plenty of advertisements if you choose to play for free. Heck, you'll have one shoved in your face before you even get to the first stage. At the very least the ads can be removed with a single in-app purchase of $1.99, but honestly, I wouldn't recommend it. First of all, I wouldn't trust Sega to honor any purchase on Android, as we already have plenty of proof that Sega may at any time pull the listing and re-release it again to make more money. Second, the core game isn't all that great, even if it did perform adequately, which it doesn't. For some reason, there is a ton of lag and skipped frames when playing on my GS8+ and OP5T, and if you would like to take a look at David's review of the THD version from 2012, this was a common problem, even back then. So I guess what I am trying to say is, buyer beware. I find it pretty scummy of Sega to pull games people have already paid for only to turn around and stuff them with ads for a re-release without updating anything else. On top of that, the performance issues from 2012 are still present in this 2018 re-release. 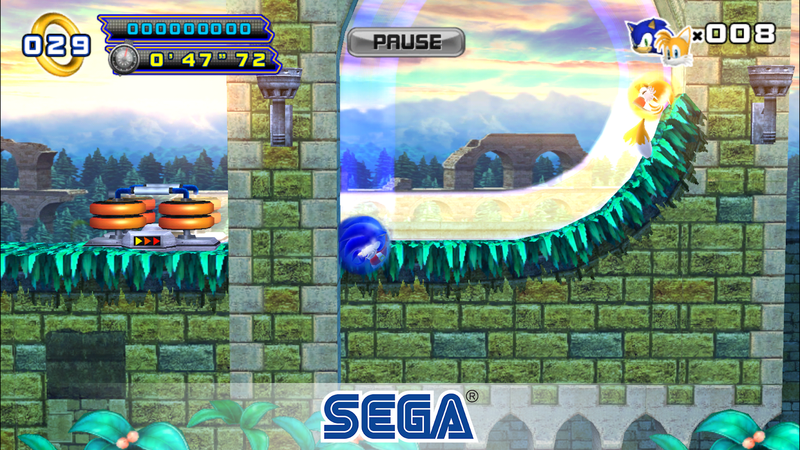 I suppose if you are a die-hard Sonic fan and have absolutely no other way to play Sonic The Hedgehog 4 Episode II, it might be fun to run around in its world for a bit. After all, it is free-to-play. But the thing is, I absolutely can not recommend spending money to remove the ever present advertisements. Sega seriously needs to concentrate on releasing games that run well instead of rehashing older junk that clearly doesn't perform acceptably just to earn a quick buck.